The creator of the latest buzz-worthy fan petition surrounding The Last Jedi is regretting his actions. Since its release Rian Johnson's Star Wars debut has proven to be relatively divisive. There's not just a split between fans and critics, but within the fanbase as well. The movie has received incredible box office numbers and praise from some corners, yet there are still fans who wish the movie didn't exist at all. A petition surface earlier this week that urged Disney to remove The Last Jedi from the Star Wars canon. The stated reasoning was that since Disney had removed a large swath of canon materials, by wiping away the Expanded Universe, they could easily ignore The Last Jedi. The petition has a fair amount of support with 35,000 signatures and counting. The creator, a man named Henry Walsh, has backtracked on his early strong statements with the petition. According to Walsh, he never thought the petition would get so serious and he's urging fans to use their negative energy for some good. I love all of the support, but we also know that Disney isn't going to do anything, and with so many people, who have much better causes, who are struggling to gain attention it is a shame that this is getting this level of media attention. So please, while we all love Star Wars, I urge every single supporter who signed this, to also take a few minutes to look at other petitions on Change.Org, ones that are important, or look at causes on GoFundMe. Places where we can make a difference that matters. 1. No I don't like The Last Jedi. I would actually love Disney to strip it from canon, I just know such a thing isn't (and never was) a realistic goal. 2. You should all help people, as we always should help people, because that is just a decent thing to do. My concern is that the popularity of this petition could pull the focus off of things that might be more important. 5. I'm going to use this thing to do good... So each and every day I will use the ability to send out an update to direct people to worthy and good causes. Why? Because that is a decent thing to do. It's a bit of a bizarre situation overall. Even if the petition was created in a moment of misguided (or angry) passion, it still did set all of this into motion. 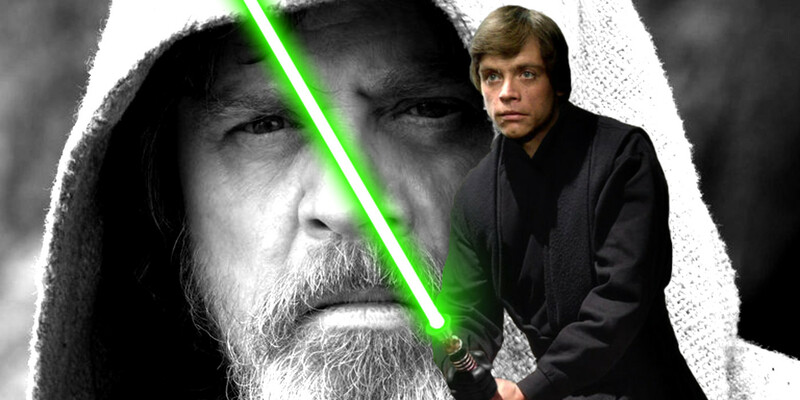 Obviously Walsh isn't alone in his feelings that The Last Jedi severely messed with the established mythology of Star Wars, particularly how the movie introduced a very different and much morally gray Luke Skywalker than was seen in Return of the Jedi. The point of these petitions, however frivolous they might seem, is to get support. At the same time, it's encouraging that Walsh has recognized the energy being put towards his petition is negative and ultimately fruitless. Disney will never realistically remake The Last Jedi, for a number of reasons. Episode 9 is already well into development and the events of Last Jedi, particularly Luke's death, will have a huge impact on the movie. There's no way that Johnson's film will ever be ignored. The fan hatred should go to more realistic, immediate and helpful causes. It's admirable that Walsh is trying to redirect the petition. However, the damage might already be done. It's not as if the hatred around The Last Jedi seems to be going away any time soon - even if it is, in all likelihood, coming from a very vocal minority.